I choose the "Frankie- Dark Sandalwood & smoke" finish. Personally I wanted a larger face (because I may need glasses) and dark tones to match my wardrobe of mostly black. I am constantly traveling for work or busy on the go as a Mom so I need something that will last and keep up with my lifestyle! If you are on the hunt for a great gift idea you can even have them personalized! "Choose a message to engrave in block or script, or even your own handwriting". Want to try your "hand" at winning one of these Luxury Wooden Watches?? The contest will close 2/17 at 11:59pm. What a gorgeous watch! I have two JORD watches and love them. I have never seen a wooden watch like that. That is awesome! Love it. I love the Koa and Rose Gold watch! I love my JORD watch so much! I want another one so bad, so that I can match to other outfits. I love how much they can endure as well. Hope your trip was fun! That's a great looking watch. I entered the giveaway and selected the Dover series ebony and rosewood. I only wear a watch on rare occasions so I'm sure it would last a very long time. I have never seen a wooden watch before, I do like the look of this one. I have been so obsessed with these watches lately! They are so beautiful.. Are they high quality? Love this watch! I own one of the JORD watches too. They are so unique! 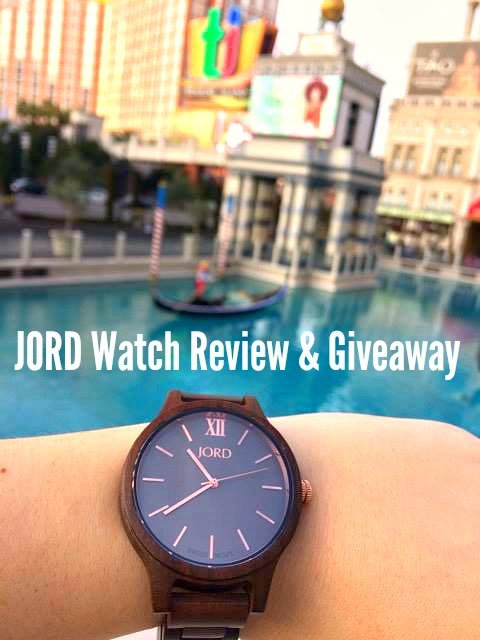 I adore Jord watches! They're always so beautifully made and you can see how good the quality is! I think it's awesome that you're hosting a giveaway! Aren't Jord watches brilliant! They have the most unique looking and pretty watches that I've seen. I love Jord! We gifted my FIL a Jord watch a few years back and he loves it to bits! I have always loved the look of these watches. This is a great gift that I know that would be loved by anyone who receives it. I am seeing these everywhere lately and I love them! There's just something really beautiful about the natural materials - a wooden watch? Yes, please! I have seen quite a few Jord watches and they look great. Great giveaway. Nice watch, how big is the watch face though? I have the 42mm Apple Watch (1st gen) and it is plenty big. This one looks to be a bit bigger than that. It looks really nice though. The watch looks beautiful. It's sleek and elegant, without being too gaudy. Beautiful. I would love to win this! Beautiful, I would LOVE it!!! Awesome! I love the Cora turquoise one. Nice. I love these beautiful watches!! !